Sherry Ryan's band performs her original country, blues and rock songs featuring Dave Rowe on bass, Brian Cherwick on keyboard, Brad Power on guitar and Chris Donnelly on drums. Sherry has been winning hearts across the country as one of Newfoundland’s finest singer-songwriters. 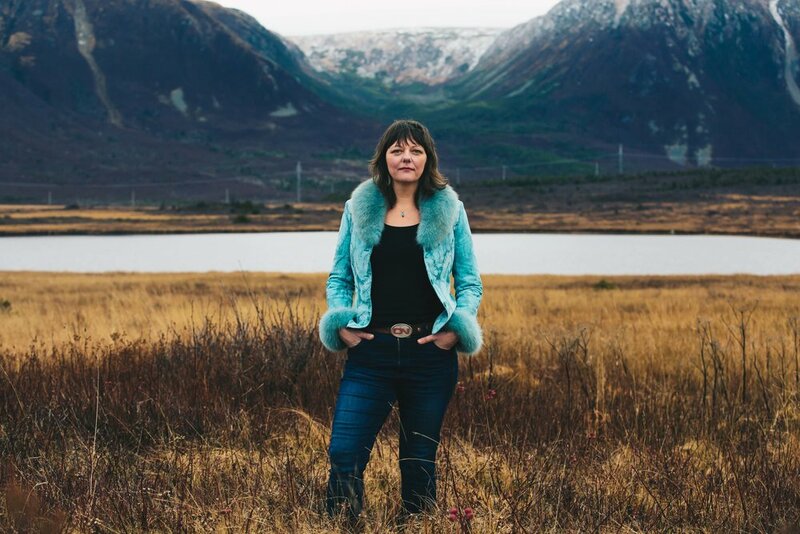 Her highly anticipated fourth album, Wreckhouse, takes its name from her song ‘Stop The Trains’; a gem of a tune voted best song in the province by The 2018 People’s Choice Awards. She was also awarded 2018 Music NL Female Artist of the Year. Described as “so good - so distinct - it’s absolutely unforgettable” her voice is one you pay attention to. Country-folk trio The Secrets is comprised of Newfoundland natives Karla Pilgrim, Terri Lynn Eddy and Renée Batten. They have built their repertoire on a foundation of classic country hits infused with an impressive, and ever-growing catalogue of country-folk originals. With their gift of voice and seemingly effortless, natural harmony coupled with their individual talent and skill as musicians – Karla on guitar and bass, Terri Lynn on guitar, mandolin and harmonica, and Renée, an extraordinary musical talent on guitar, accordion, fiddle, mandolin, bass and more – The Secrets fresh delivery of their chosen work is authentic, exciting and thoroughly entertaining for all who see and hear them. Wanda Crocker was a member of seminal folk band Barkin' Kettle in the 80s, as well as the bands The Prodigal Daughters and the Sub-Sisters. With Barkin' Kettle, Wanda performed at most of the major Canadian folk festivals including: The Winnipeg Folk Festival, the Vancouver Folk Festival, and the Festival of Friends in Hamilton, Ontario. The band also represented Canada at the Cultural Festival affiliated with the Commonwealth Games in Edinburgh in 1986. Wanda took a long break from performing to become a self-made business woman, but luckily for us, she has brought her tremendous fiddle and mandolin talents back to local stages with the band What Odds. Versatile and rhythmic are just two words used to describe the extraordinary musical talents of Renée Batten. This Conception Bay South native has been as a member of the award winning all female country trio The Secrets since 2008. Coming from a strong musical background, Renée is naturally gifted, her ability to play a wide variety of instruments distinguishes her from the rest. At the tender age of four, she began playing the accordion and has since conquered the guitar, bass, fiddle, mandolin, and the bodhran. Now with song writer added to list, Renée’s star continues to shine as a multi-talented musician. Dave has carved out a unique niche in Newfoundland folk music, creating an identity that’s all his own – and this album certainly cements that position. Since the release of his debut recording “Stories and Strangers” Dave Penny has established himself as one of Newfoundland and Labrador’s premier presenters of comedic commentary with classic tracks like “Ballad of The Elm Spanworm” and “Baz”. In the intervening years he has been a steady presence on the local folk scene, and as a member of From Stage to Stage has been a key figure in the resurgence in popularity of the Newfoundland recitation. Along the way he has contributed popular pieces like “Johnny Chrome” and “A Townie Courted a Bayman’s daughter to the local folk repertoire.